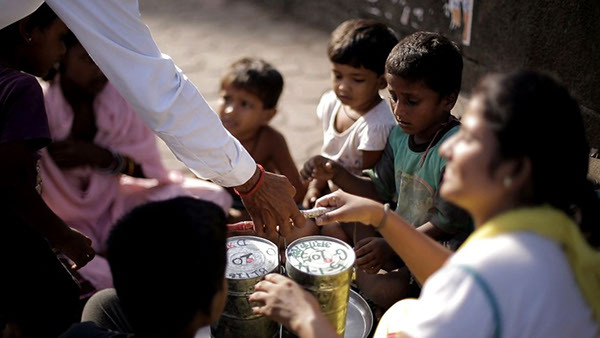 Every day on the streets of Mumbai thousands of children go hungry, and some even starve to death. With very few resources and money, how do you start solving a problem this big? 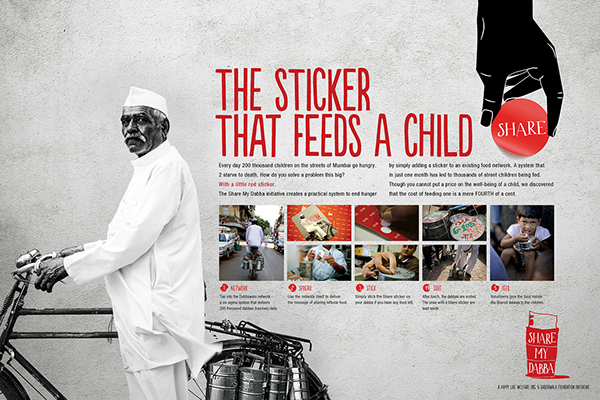 The answer lay in adding a simple Share sticker to the largest food-delivery network in the city — to share the untouched-uneaten food in their dabbas (lunchboxes) with children on the street. 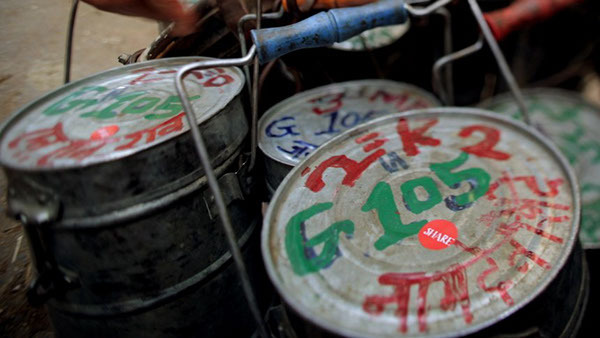 Every day in the city, tons of food goes to waste. 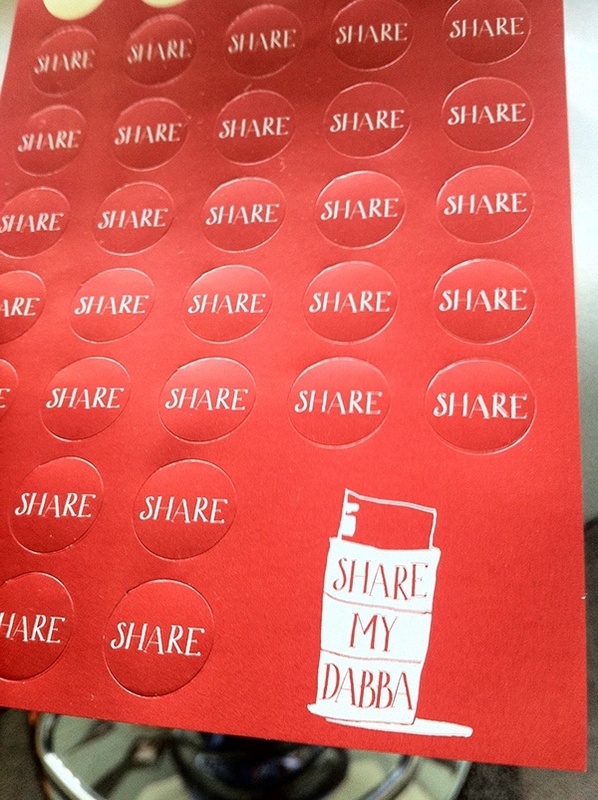 Share My Dabba uses a mere Share sticker and the extensive dabbawala network to get leftover food to these children.